“My bedroom door creaks open, and the light from the hallway penetrates my room. 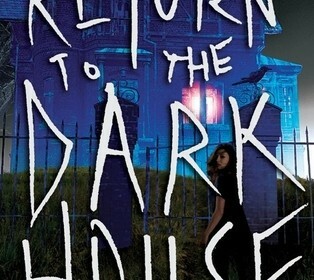 I see his boot first: black wrinkled leather soiled at the toe.” “Return to the Dark House” by Laurie Stolarz is a mystery/horror book, suitable for readers in grades 7-12 and (Horror is not suitable for people who get scared easily.) The book starts off with Ivy Jensen, the main character, as she wakes up in a hospital after surviving the “Dark House” and being the only one coming out alive, besides Taylor who escaped in the beginning. The book is mostly set in an old abandoned private school in the woods where the killer used to go to school. The characters are very likeable and friendly for example the way they are secretive and at the same time open about things., and it’s easy to get attached. The only way to know what happens, is to read “Welcome to the Dark House” and see what awaits.